Description Sepia photo scanned as B & W. Same as 338b. Many students have a number on them which corresponds to names on back. 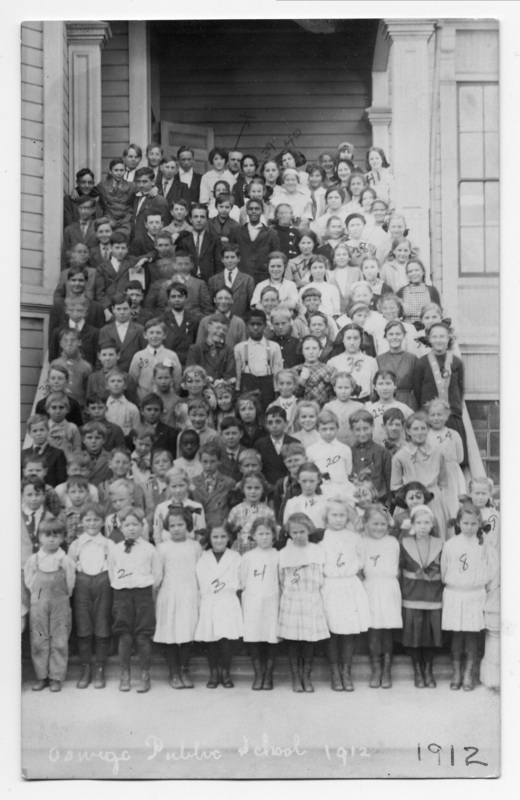 [on photo front]: Oswego Public School, 1912.